Terrorists break through security fence, sabotage IDF equipment before returning to Gaza and shooting a soldier. 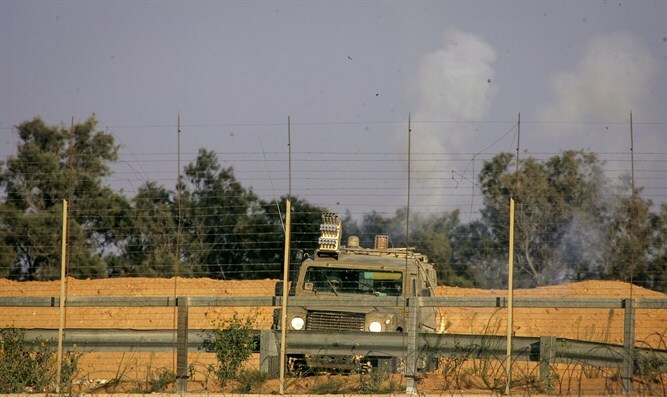 An IDF soldier was lightly wounded when terrorists from the Hamas-controlled Gaza Strip opened fire at his unit Tuesday afternoon. The soldier was shot in the upper body and evacuated by ambulance to the hospital.